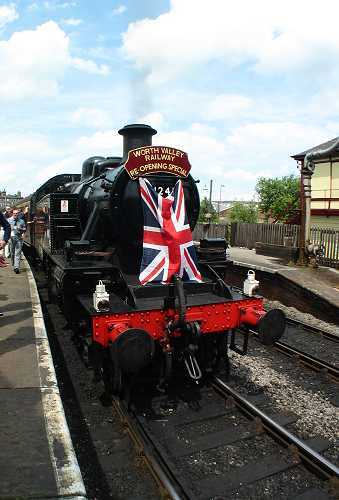 Keighley and Worth Valley Railway celebrating 35 years of providing train service. 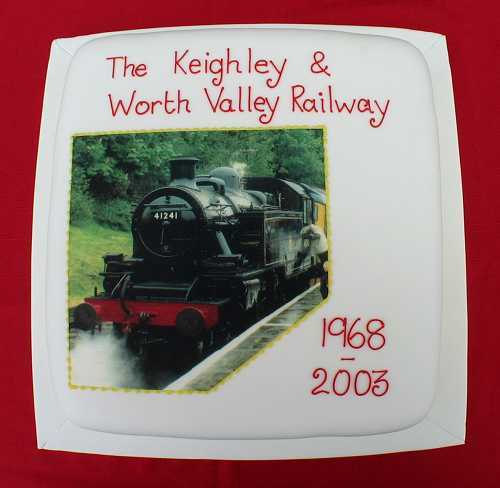 On Sunday June 29 2003, Keighley & Worth Valley Railway celebrated 35 years of providing train services. 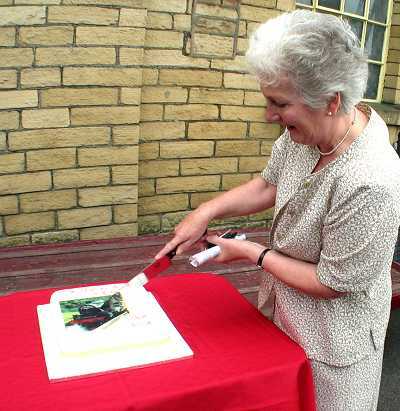 Ann Cryer MP, president of the railway preservation society, cuts the cake to mark the occasion. The 1854 theatre group performed a short piece about the re-opening of the line. "You want to buy a railway?!!" 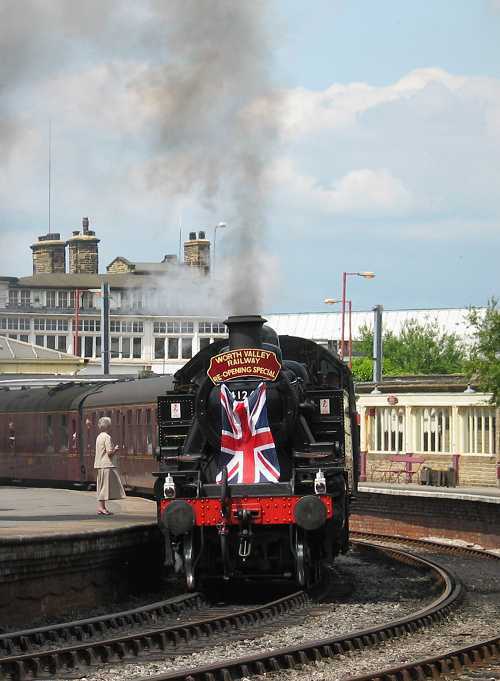 Ann Cryer MP, president of the railway preservation society watches 41241 leave Keighley station.